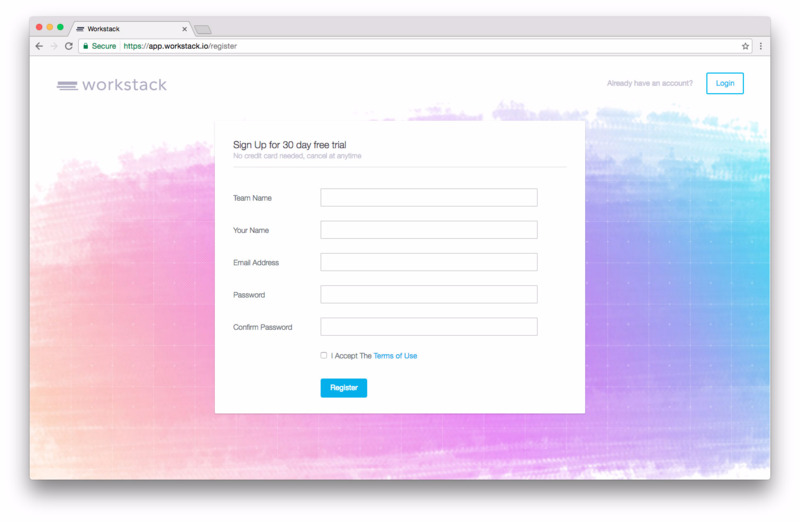 In order for you to try all of Workstack's features out we offer a 14 Day FREE trial to all users. The trial is a fully functioning version of Workstack with all the features included and an unlimited restriction on the number of projects or users. Note: You will receive an email reminder half-way through your trial and 3 days before it will be due to expire.